TYLER, TX (KLTV) -The City of Tyler has announced a temporary closure of an intersection for repair work. The work is intended to begin March 22, and should finish by August 1, weather permitting. As part of the Sunnybrook Drive structure replacement project, the contractor Reynolds and Kay, LLC. 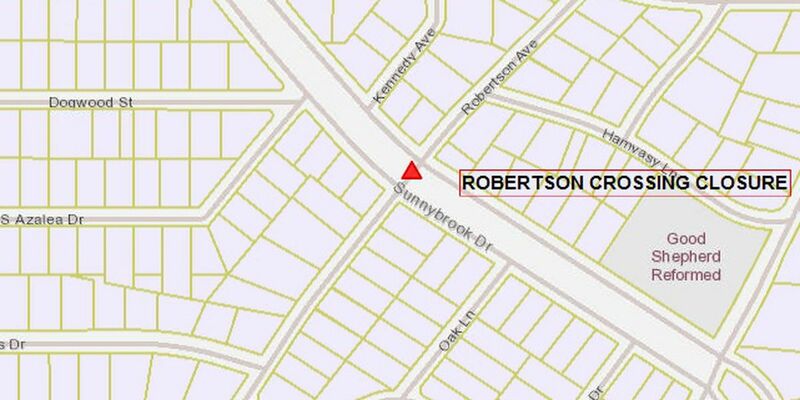 will be replacing an existing drainage structure and must close Robertson Avenue to through traffic where it intersects with Sunnybrook Drive. The closure will begin on Friday, March 22 and will end on Thursday, Aug. 1. This schedule is subject to change due to weather conditions or other unforeseen issues.